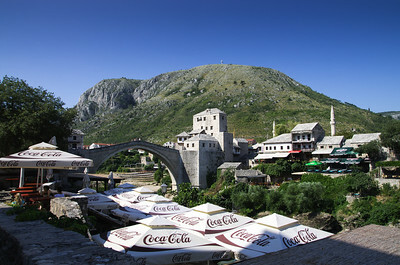 Old Bridge a reconstruction of a 16th-century Ottoman bridge in the city of Mostar in Bosnia and Herzegovina that crosses the river Neretva and connects two parts of the city. 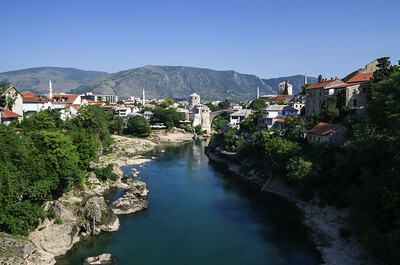 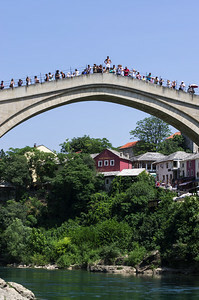 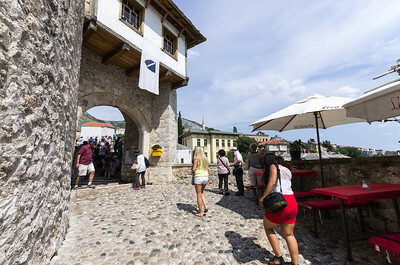 The Old Bridge stood for 427 years, until it was destroyed on 9 November 1993 by Croat forces during the Croat–Bosniak War. 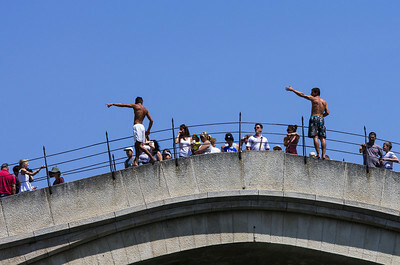 Arch is 28.7 wide and 21m high compared with summer level of the river.